Making a Financial Case is a one day course which forms part of the ILM Level 5 Leadership and Management Qualifications. It is specifically aimed at non-finance managers who require an understanding of the essentials of finance in order to make informed, effective business decisions. Taught by one of our expert tutors from MGC Hayles, specialist accountants with a wealth of knowledge and experience. This course is aimed at non-finance managers who require an understanding of the financial impact of their business decisions. It is perfect for managers who want to make effective decisions without the need to rely on financial experts. Non-accredited: You can attend Making a Financial Case as a stand alone one day course - just gain the knowledge you need, without completing the assignment. 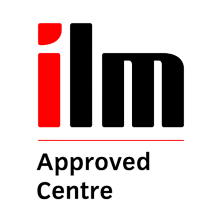 Accredited: Alternatively Making a Financial Case can be completed as an accredited Level 5 ILM unit which can form part of the Level 5 Award, Certificate or Diploma in Leadership and Management. You will be required to complete an assignment to ILM standards.